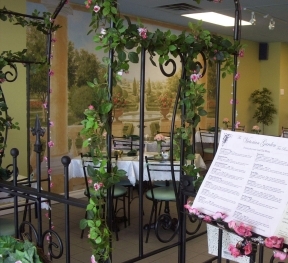 The Victorian Garden is an authentic English tea room located in the heart of Etobicoke, Ontario. 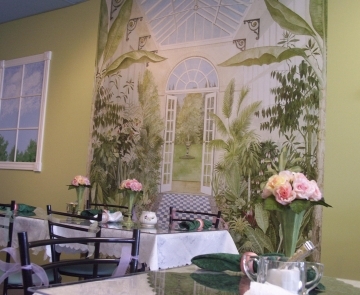 Join us for a wonderful afternoon of “High Tea” or a casual light lunch in our relaxing garden room. Browse our store and gift shop filled with unique collectibles and items for the tea-lover. A truly unique experience awaits you! Our specialty featuring a warm, freshly baked scone, cream and fruit jam. Served on a tiered presentation platter accompanied by an assortment of delicate finger sandwiches and decadent petits desserts. Of course, high tea would not be complete without a lovely pot of tea, chosen from our wide selection of loose-leaf varieties. High Tea for Two is also available. Who said high tea is for grown-ups only? 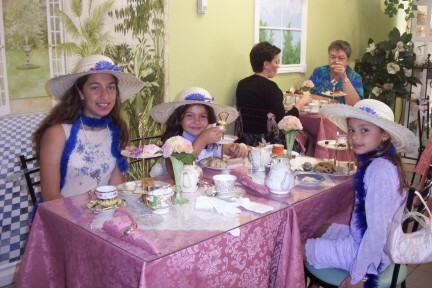 This smaller version of our specialty allows children their choice of three finger sandwiches, a baked treat surprise, and a lovely pot of tea (may we suggest “Bubblegum Blast”). Children may also substitute their tea for a pot of gourmet hot chocolate .